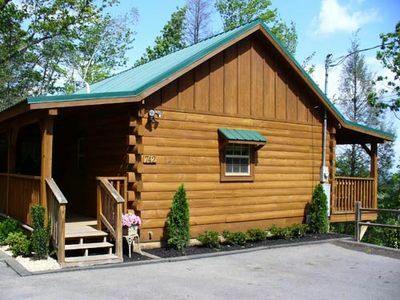 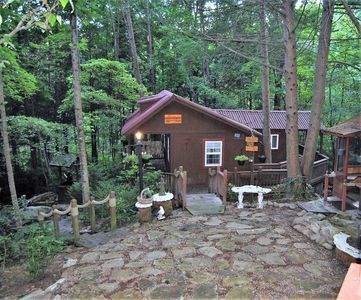 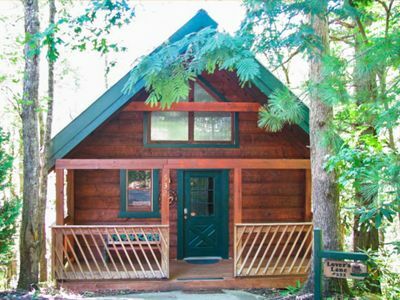 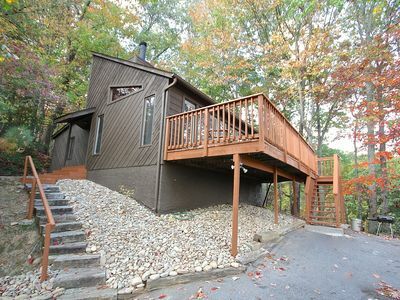 Deer Trail is a beautiful new 2 bedroom cabin that is real log on the inside and out. 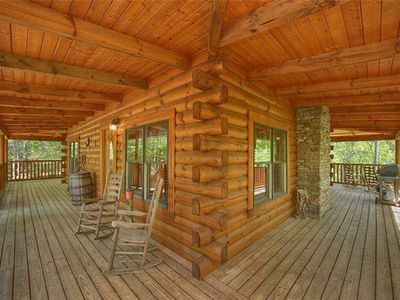 The stately wrap around covered porch is the perfect place to sit and enjoy all the different seasons here in the Great Smoky Mountains! 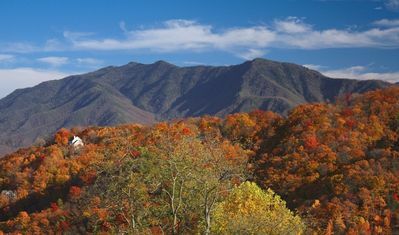 If you come in the spring, you’re sure to see all the beautiful wildflowers and lush green trees. 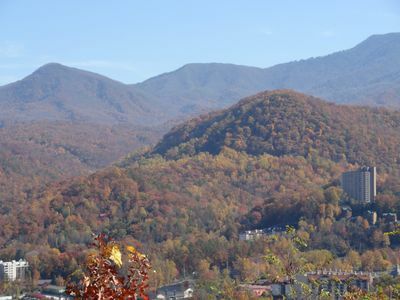 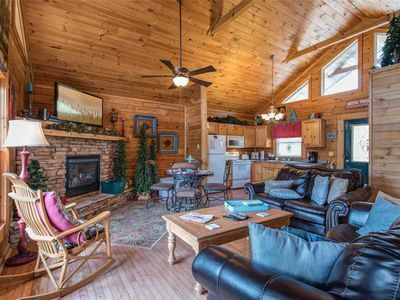 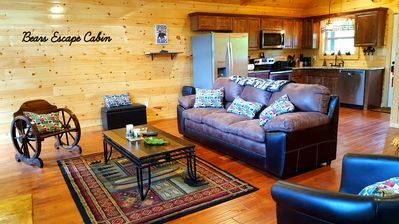 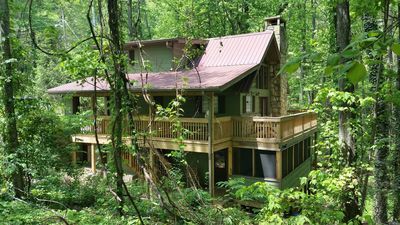 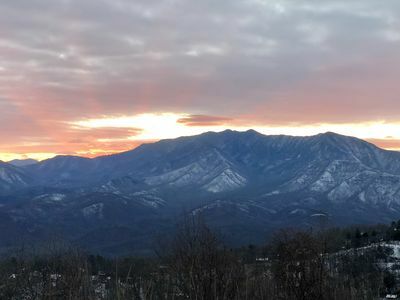 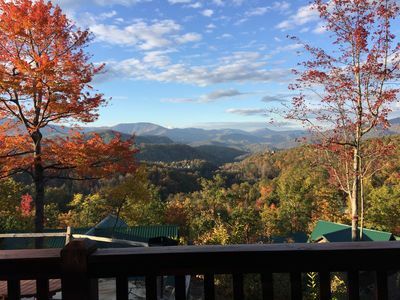 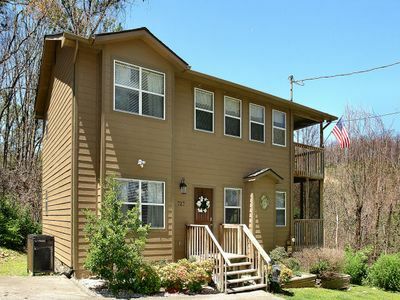 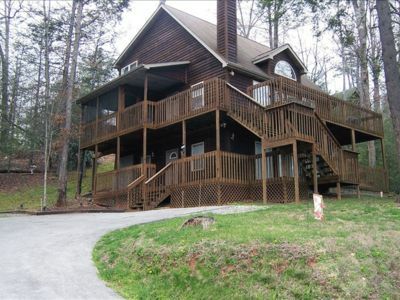 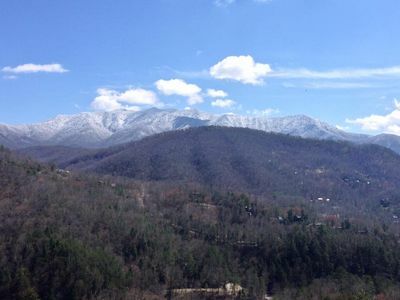 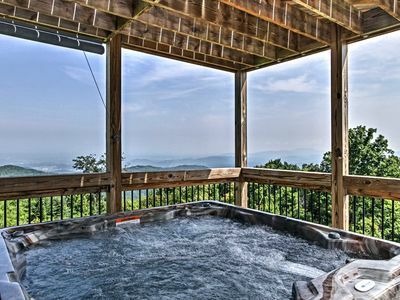 If you come in the Fall, you’ll get to sit back in the comfortable seating area and watch as the greens turn to beautiful reds and golds.Looking to find a cabin with a pool table and a hot tub near downtown Gatlinburg Tn.? 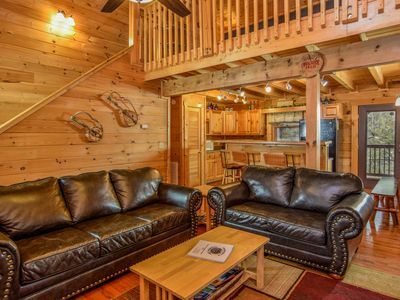 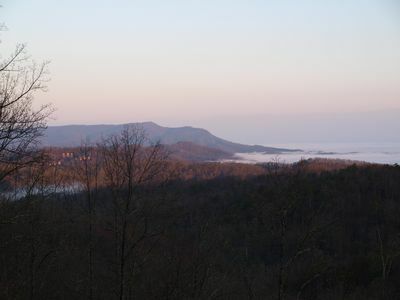 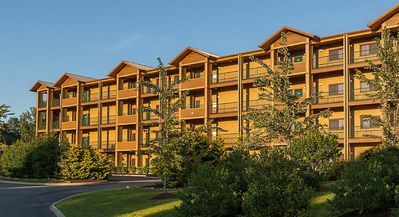 Deer Trail is the perfect place for a romantic getaway vacation, or a small family gathering, or even a nice getaway with close friends. 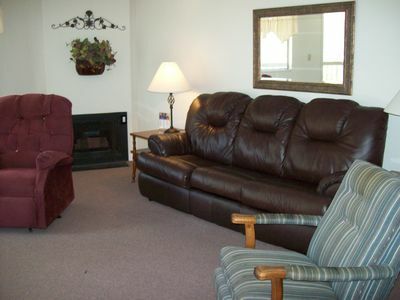 It’s two bedrooms, two bathrooms, and fits up to six guests! 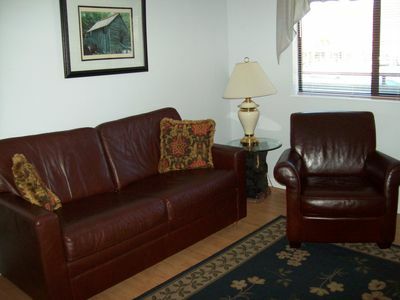 Unfortunately, it is not pet friendly, so make sure to make arrangements for your four-legged friends ahead of time!